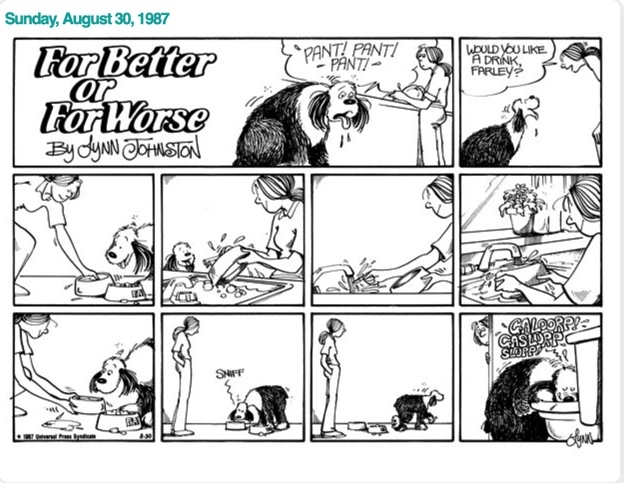 I love For Better of For Worse and one of my favourite characters is Farley, the dog. He’s just hilarious and so authentic. Dogs truly do the things he does.